Sinclair Soul is an original rock and roll project of producer, composer and arranger Ric Albano. The music is a diverse breath of rock influenced from the classic era with a modern twist. Between the years 2017 and 2018, we saw the production and release of the initial three Sinclair Soul albums of original music. The songs on these albums were a mix of updated versions of tunes originally written for Albano’s Imaginary Lines project (2004-2009), along with some newly written material. The initial album, The Journey, was completed in early 2017 and released in June of that year. During the winter of 2017-18 a second album was recorded, Reflections of Relevance, for release in March 2018. And over the summer of 2018 the third album, Nine Fine Lines, was produced and released in September of that year. The fourth and most ambitious Sinclair Soul album, entitled The Good Guys, to date was commenced in late 2018 with a planned publication for the later part of 2019. This album will feature all newly written original compositions of an interpersonal nature with topics ranging from the serious and somber to the joyful and fun. The songs will include entertaining and rewarding elements of vast musical genres such as blues, folk, country, jazz, and of course, rock n roll. 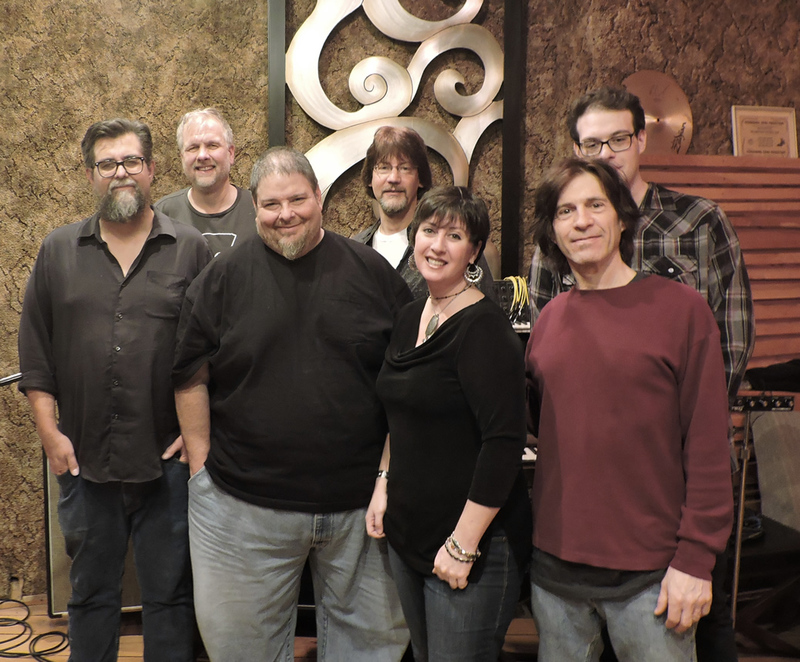 Along with Albano, this record will include a posse of top-notch musicians and production team, including guitarist and producer Bret Alexander, bassist and producer Paul Smith, drummer Ron Simasek, vocalist Mycenea Worley, guitarist Phil Brosius and engineer Jake Albano (Ric’s son). Combined, this team has over a century of combined experience at all levels of the music industry. Cygnus Wave Records was founded in conjunction with the release of the album Imaginary Lines I on October 10, 2005. It is based in the Harrisburg, PA area and owned and operated by 33 Dimensions LLC. The company’s original mission included plans for expansion into areas such as musical publication and A&R for local (Pennsylvania) artists. However, it was eventually decided to limit the scope of Cygnus Wave to that of an independent record company while maintaining support for some non-profit organizations.